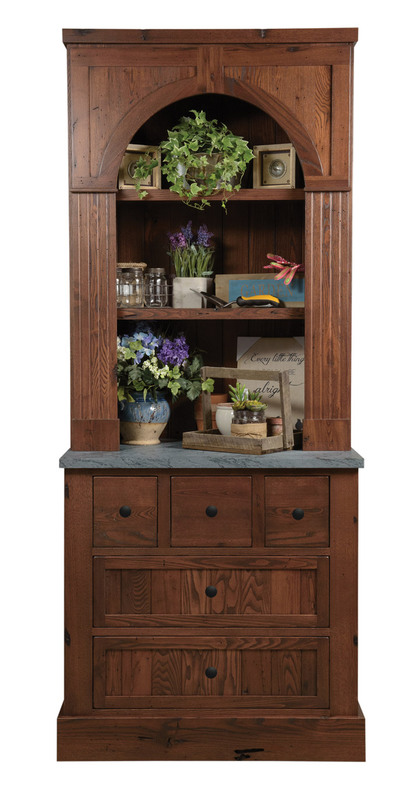 This year's display is a mix of transitional design cabinetry with additional items like a tv cabinet and a one-of-a-kind wormy chestnut hutch made from reclaimed barn beams. Plain & Fancy has been participating in the Architectural Digest Home Show for many years, showing everything from classic traditional to ultra modern cabinetry; from kitchen cabinets, to home bars, armoires, closets and everything in between. In order to stay consistent with the trends in today’s market, this year’s display makes a shift towards transitional design, which is a balance of both traditional and contemporary design ideas. 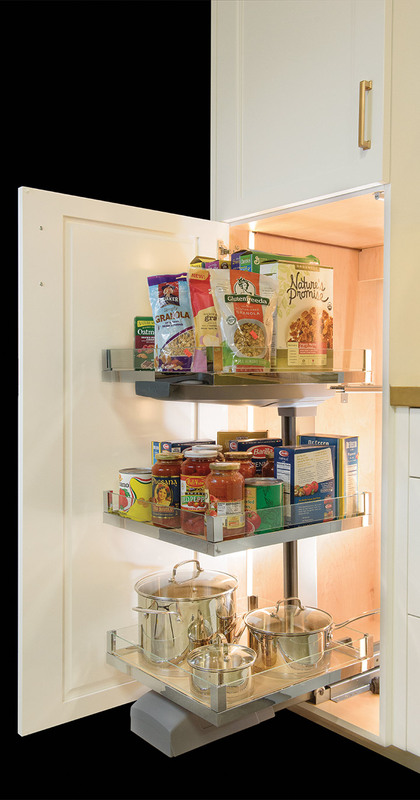 LED lighting is shown throughout the display in drawer boxes, under counter applications as well as in cabinet interiors to make the kitchen experience that much better. 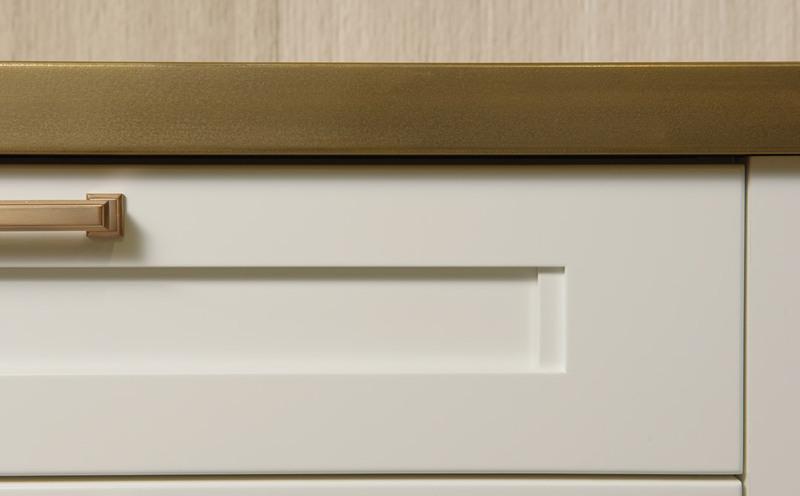 Two new door styles, the Catalina (pictured below, top) and the Statesman (pictured below, bottom) are being introduced in this year’s display. 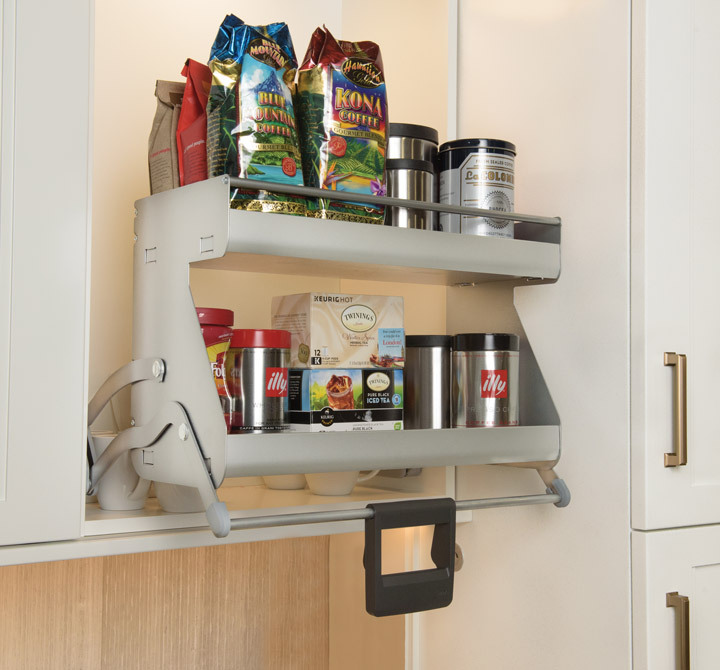 The Catalina carries a more modern line, with large 4˝ wide vertical stiles and 2” horizontal rails. The vertical rails are dressed with a small step strip that accents the flat panel. 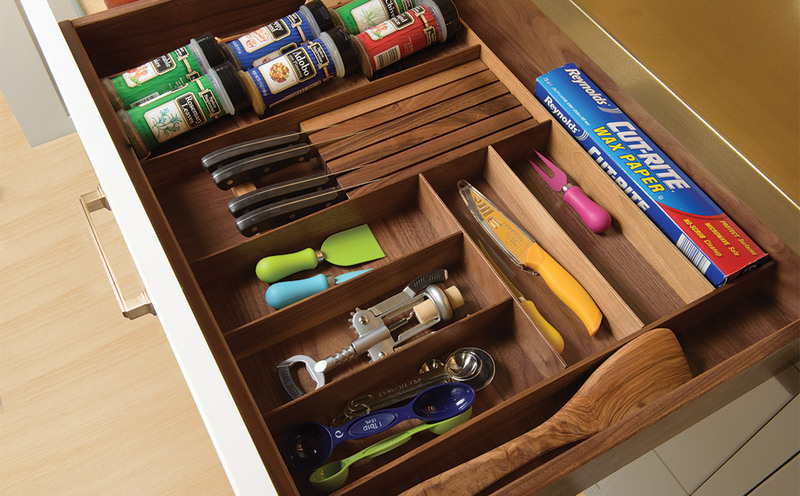 Drawer heads are designed to match. 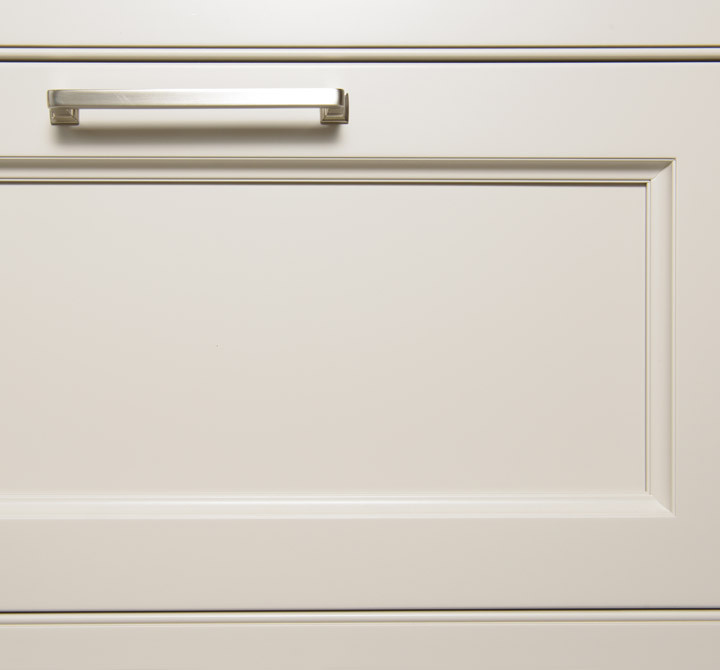 The Catalina is shown on the kitchen wall which is finished in Cascade White with a standard sheen. The Catalina doors are also 5/4, which means that they are 1˝ thick where a typical door is 3/4˝ thick. The Statesman, a traditional style, has a 1˝ frame trimmed in a cove profile around its center panel, highlighting the depth of the design. Matching drawer heads are shown, too. The Statesman door is shown on the island, which is finished in a low sheen Stone. It is also displayed in 5/4. Also unique to this year's booth are custom wood tops from Grothouse. The kitchen wall countertop is a unique gold finish, while the island is an Anvil series wood top from Grothouse, which is finished in White Gold. 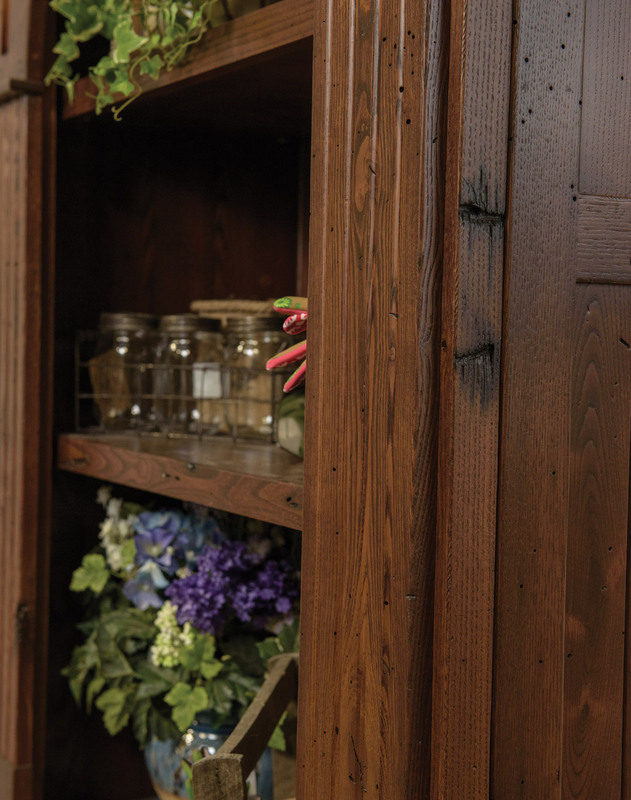 Also included in this display is an antique armoire built out of wormy chestnut and finished in a custom stain. The wormy chestnut that makes up this particular piece was reclaimed from nearby Lebanon and Berks county barn beams that were then milled for our purposes.